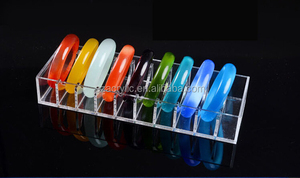 display jade bracelet acrylic stand/holder material made by 3mm high quality acrylic color transparent/white/black/etc size any size are welcome logo laser or skill-screen print Moq 300pcs/ small order as well payment 30% deposit ,the balance send before goods shipping package safe package/as your request usage display cosmetics /jewelrys/etc 1.Quality 1) Our material which high transparency,being 92%,like crystal,"queen of Plastics. " 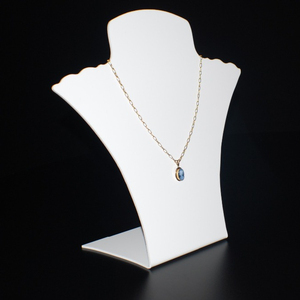 2) Impact resistance,acrylic is 200 times stronger than glass,it hardly break. 3) Impact resistance,acrylic is 200 times stronger than glass,it hardly break. Q: Do you provide sample9 Is it free or extra9 A: Sure, our samples could be sent for evaluation at any times. Q: What is your terms of payment 9 A: Usually we accept Western Unoin for sample payment, T/T and Trade Assurance for bulk order. B: Payment&lt;=2000USD, we&rsquo;d like to receive the whole amount in advance becasue of handling charges. 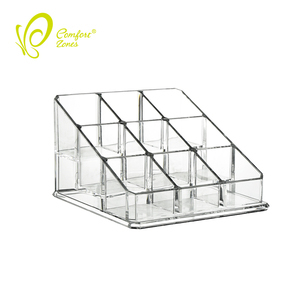 Dongguan ShowPal Display Products Co., Ltd. 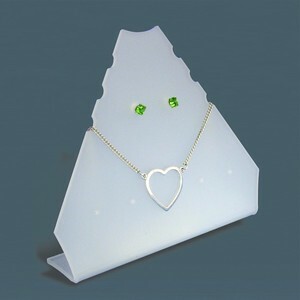 Item clear T bar acrylic jewelry bracelet display stand/rack hanging necklace bangle display holder OEM/ODM Yes and welcome Material acrylic Process laser cutting,polishing,hot bending Color clear Logo UV printing,silk screen printing Package each one in PE bag,mass goods in the carton Usage Promotion,tradeshow display, wholesale & retail shops, shows, flea markets,Retail Jewelry Countertop etc Sample time 3 days Lead time 10-25 days after sample approved(depend on order qty) Shipping by sea from Shenzhen port by express:DHL/UPS/FedEx,etc. Western Union 30% deposit and balance before delivery for bulk order Product characteristic 1.Elegant contemporary design 2.Any design and dimension available 3.High light transparency 4.Ultmost weatherability and chemical resistance 5.Stable color under outdoor exposure 6.Easy to maintain and clean, it can be scrubbed with soap and soft cloth 7.Strong plasticity can be easily shaped and processed Note All the listed price is only for reference,for latest price please contact us directly. Packaging & Shipping Packing method Individually in polybag, then into a inner box, several boxes into a master carton or as customer's request Mode of transport By sea, By air, DHL,Fedex,UPS,TNT,EMS. You need to send the pictures to our email, tell us the sizes you want to paint, then we will quote you an exact price. 6. Does the packaging safe and arrive in good conditions9 Yes, Safe Packing guarrantee, all the paintings will arrive your door under good conditions. If you have not received your shipment within 30 days from payment, please contact us at once. 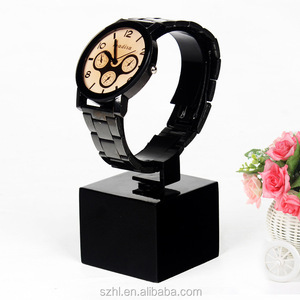 Alibaba.com offers 925 acrylic bracelets display holder stand products. About 56% of these are display racks. 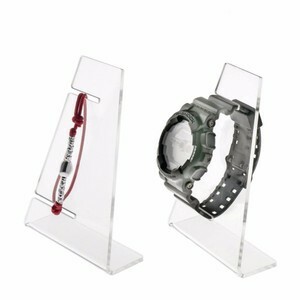 A wide variety of acrylic bracelets display holder stand options are available to you, such as acrylic, metal, and wood. You can also choose from free samples, paid samples. 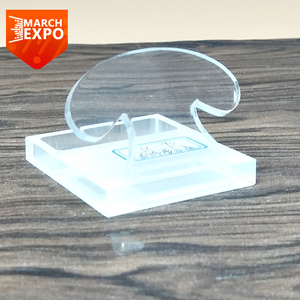 There are 942 acrylic bracelets display holder stand suppliers, mainly located in Asia. 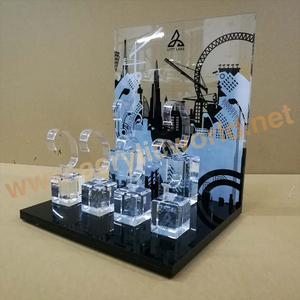 The top supplying countries are China (Mainland), Canada, and Hong Kong, which supply 94%, 3%, and 1% of acrylic bracelets display holder stand respectively. 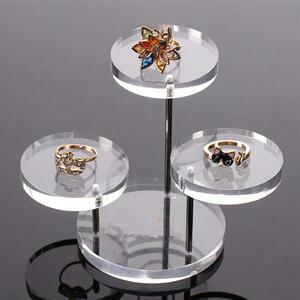 Acrylic bracelets display holder stand products are most popular in North America, Western Europe, and Domestic Market. You can ensure product safety by selecting from certified suppliers, including 93 with ISO9001, 69 with Other, and 31 with SA8000 certification.